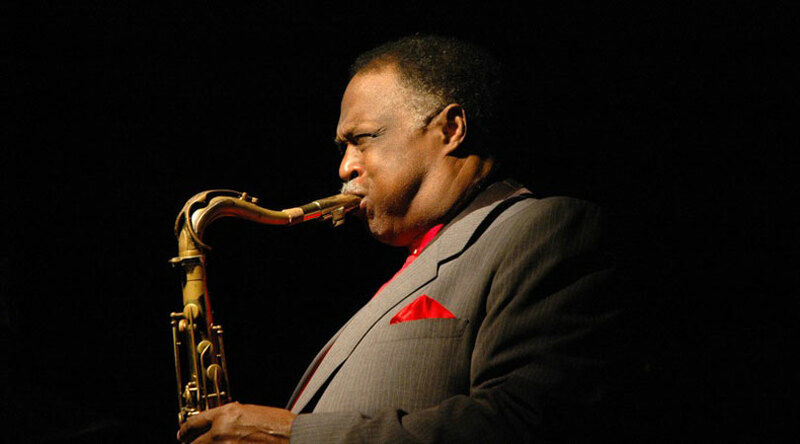 There is no tenor saxophonist playing today who can frame a melody and then float over it like Houston Person. Playing in the depth of the tenor without the customary roar that is associated with most players, Mr. Person literally creates a wafting of air that glides across the notes. He seems to caress the keys of his burnished instrument and make each utterance come alive and bask in its revolutionary glory. This is something unique and only Ben Webster and Gene Ammons, Lester Young and Charles Lloyd have played their respective instruments as if they were honouring the sensuality of a woman. But Houston Person, unlike any of the aforementioned has been doing that for a very long time and seemingly no one has taken notice. Mr. Person has recorded a staggering 75 (or more) albums as leader mostly on the Prestige and HighNote labels. This is no small achievement for someone who has dedicated his entire life to the cause and, moreover, done that without any real attention or accolades coming his way. In fact, it was only after Etta Jones, his long-time musical partner passed away that Mr. Person came to the attention of a larger audience and that too for all the wrong reasons. This album, The Melody Lingers On ought to put an end to this shameful state of affairs and shine a new light on Houston Person, something he so richly deserves. Houston Person’s music is drenched in the blues. Almost anything that he plays comes from the melancholy and the ebullience of that state of mind. Mr. Person is the kind of musician who appears to be driven by emotion and the passions of man. As such this has affected his entire being. His soul is nebulous and vast and appears to encompass everything that he does and when this soul is so driven by compassion, everything that emanates from it is framed by this. For starters Houston Person’s intonation is framed by tonal depth that is bottomless. Notes and phrases seem to emerge from a wellspring that is fed from somewhere in that nebulous soul that wanders spiritedly in the fourth dimension. This is possibly why his inventions on the melody of songs he plays have an ethereal quality about them. When he plays his saxophone, Mr. Person seems to bewitch the very core of the music itself. His lines make their appearances in arcs and stroboscopic swishes that mimic the waving of that proverbial magic wand on the music that he plays. “Bewitched” just happens to have that title. Even if it did not, the song would be elementally beguiling to its very core. Similarly “Try A Little Tenderness” is played with such strong emotion that it seems to beat like a fibrillating heart mesmerising body mind and spirit. And then there is “You Can’t Lose With The Blues” that is almost anthemic in the sonically graphic manner that it describes a whole belief system that is associated with Mr. Person. The group that Mr. Person has assembled for this date subscribes to these beliefs. They are also, to a man, steeped in the blues. Steve Nelson resonates with it, Lafayette Harris weeps the blues with his incredible pianism and the partnership of Ray Drummond and Lewis Nash speak the rhythmic language of the blues. Together this group led by Houston Person must before long, write a new chapter in the language of jazz. 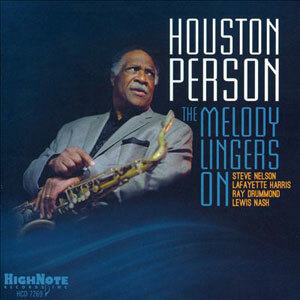 Personnel: Houston Person: Tenor saxophone; Steve Nelson: vibraphone; Lafayette Harris: piano; Ray Drummond: bass; Lewis Nash: drums.